There are many reasons to create a calendar. You may be working on a fundraising project for your . Perhaps you want to showcase your photography and sell the calendars to make a little money. So where do you begin? Are you selling you to the general public? Are you giving them as gifts to your best customers or the parents of your school? Once you have determined who your audience is, you can start to choose the types of pictures you want to include in your calendar. For example, The Highway 1 Project is an organization dedicated to raising money to improve Highway 1 in California and to protect parks along the Pacific Coastline. Their calendar features gorgeous scenic pictures. This entices people to purchase the calendars and it reminds them throughout the year that they supported a good cause. 2. Are You Going to Include Advertisements & Sponsors? This will be a factor when you are designing you calendar because you will need to include space for the "thank-you" page and for advertisements throughout the grids. To learn more about calendar fundraising, click here to download our free calendar fundraising guide. 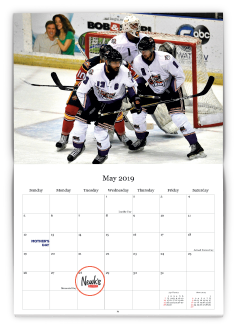 The image to the right shows how the Knoxville Ice Bears Booster Club placed sponsor logos throughout their calendar on different dates in the monthly grids. 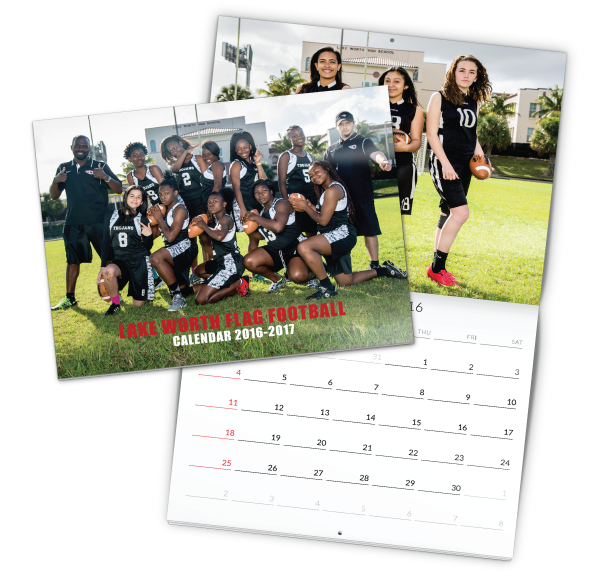 Picture or collage of photos on the top of each month - for example, September in a school fundraising calendar could say, "Welcome Back to School" and show a photo of the football team. Places or things that relate to your cause or organization. Pictures of peoples' favorite animals. Photos from previous events or trips. The possibilities are endless! Just remember, your pictures need to be high resolution for them to print looking clear. If your images aren't at 300DPI (dots per inch), there is a chance that your images will appear pixelated when your project prints. After you have chosen your pictures it's time to start designing! You can design the calendar many different ways. Most calendars have one large, full-size image on the top half and the calendar grid on the bottom half. I have also seen calendars that have a collage of images or a single image with a nice background around it. The sky is the limit! If you already have pictures and a project in mind it's time to get down to work and actually start designing. 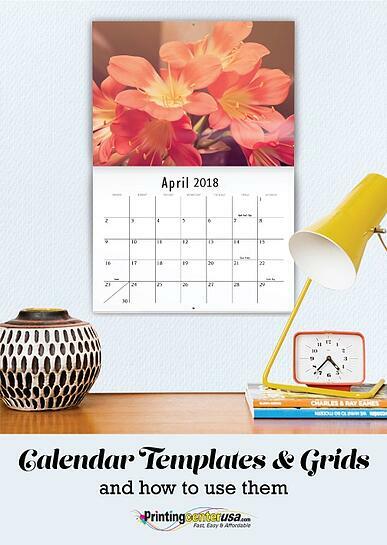 You can design a custom calendar using programs like Photoshop, InDesign or Illustrator. If you don't want to start from scratch, check out our to get you started. Using a pre-designed template will ensure that you have the correct size and will save you some time! We also offer a free calendar online design tool. I love this tool because it makes it incredibly easy to put a calendar together. Just upload your pictures, drag and drop them into place and voila! A finished calendar design. To start designing a calendar you must first choose your audience. Decide what kind of pictures will appeal to them the most and design your calendar with your audience in mind. When the time comes to put the calendar together either design online or use our in a design software like Adobe Photoshop, InDesign or Illustrator. 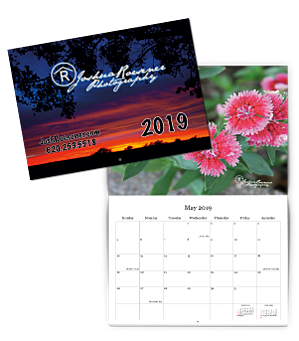 If you are starting a calendar project and would like to speak with an expert, feel free to give us a call at . This economic recession has forced many educational institutions to drop programs, cancel clubs, and cut back. If schools are willing to make the effort, they can develop extremely profitable fundraising programs for their students to help support these programs and give the students a great life learning experience. 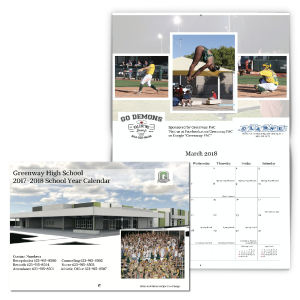 Many school organizations are using school calendar printing for fundraising purposes. 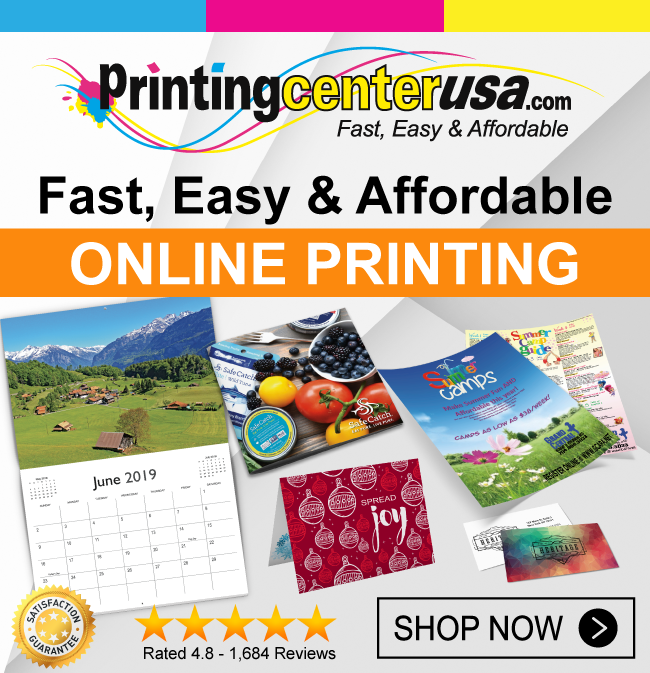 At PrintingCenterUSA, our purpose is to show you how fundraising calendars can be put together with no upfront money and can help your school support their extracurricular activities and ensure that parents and community members know what is happening with their local schools. 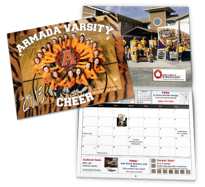 Many schools have had great success in obtaining sponsors to support the cost of printing their calendars before they go to press, thus enabling the students to focus on the sales of the finished calendar and realize a larger profit without worrying about how it is going to be paid for. What school they are supporting. What the money will be used for. When calendar distribution begins and ends. Spread the enthusiasm to your students, parents, families, friends and sponsors! 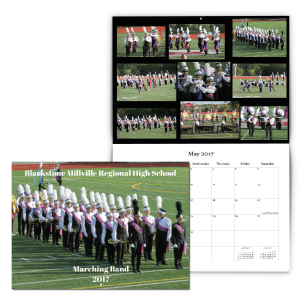 Students can easily sell the finished custom calendars at school events, to parents, relatives, friends, and supporters of the school. The school book store and business doing the advertising can also sell the finished calendars. The calendars can be pre-sold as well. Local Businesses: Local hangouts, credit unions, auto shops, insurance agencies, pet supply retailers,shops, convenience stores, doctors, fitness centers, grocery stores, photography studios, realtors, restaurants, parents' businesses, anywhere students and parents frequent and shop. Large Corporations: Such as Sprint, Verizon, Fast Food franchises, McDonalds, Burger King, Coca Cola, Pepsi, pet supply stores, State Farm Insurance, banks, sporting good stores. Use your imagination. What business would benefit from the exposure in your calendar? Nothing will beat taking time to personally call on your local businesses. Don't forget to keep a list of your sponsors so you know who to contact for next year's calendar. Need help designing your calendar? Check out our calendar design resources to help jump start your next school calendar project! If you have any questions or need help getting started, give our customer service representatives a call at . 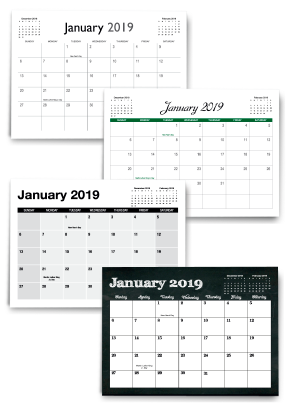 Here at PrintingCenterUSA, we want you to have the smoothest, simplest process when it comes to designing your calendar. Whether you need help coming up with a theme, advertising in your calendar or designing your final product, we’re here to help every step of the way! See below for the 4 design resources we have available to you. Whether you’re designing a photography calendar or a fundraising calendar, we have the resources to help you design the calendar of your dreams. 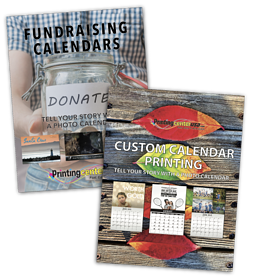 With our Fundraising Calendar White Paper, you will get advertising sales tips, sponsorship options and revenue ideas, as well as product information to help get the most out of your calendar fundraiser. Our Custom Calendar White Paper helps you choose what paper, binding type and size will best fit your needs and showcases all the design options we have available to you. It includes tips for non-profit, business promotional and photography calendars as well. Do you happen to have an Adobe design program? We have created 8 custom calendar templates to help jump start your design process. 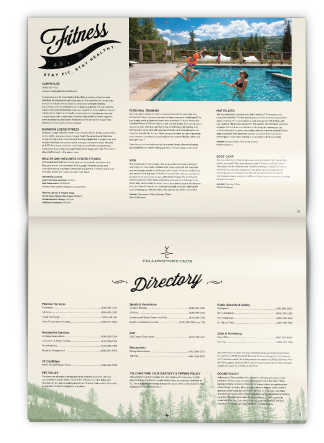 Our templates include major holidays and can be used in Adobe Illustrator, InDesign, Photoshop and a PDF for other programs. Each download includes an at-a-glance page and a notes pages that can be used as filler pages. These are especially helpful for saddle-stitched calendars, as this type of binding requires that you have a page count that is divisible by 4. 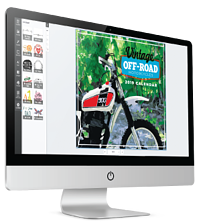 Another great design resource we have is our FREE online photo calendar design tool. If you don’t have design software like Photoshop, Illustrator or InDesign, this tool is definitely what you’re looking for. It’s simple to use and will help you design the gorgeous, high-quality calendar you’ve been wanting. All you have to do is upload your photos, drag and drop them into place, add text and we’ll do the rest! Whether you want a saddle-stitched, wire-o or spiral bound calendar, our design tool has the options you need! 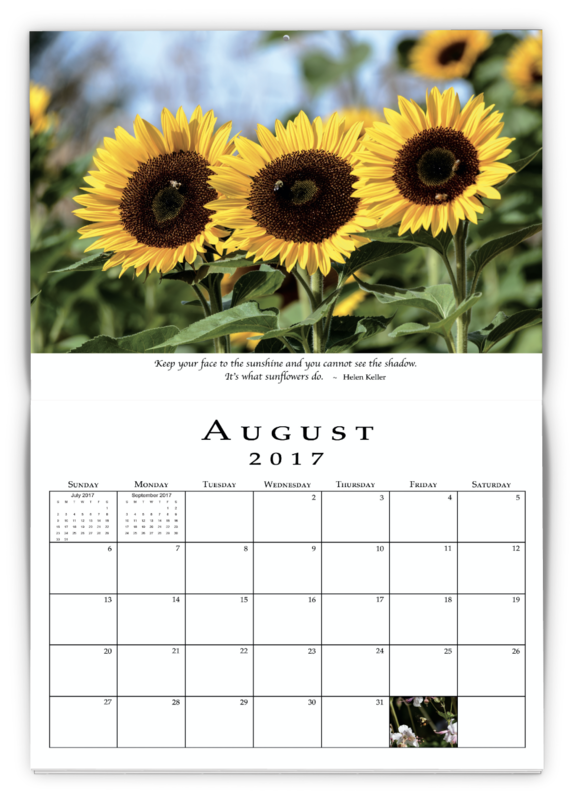 See below for the types of calendars available on our photo calendar designer. Available Sizes: 11" x 8.5" | 8.5" x 5.5" | 12" x 12"
Other Cool Features: Design Your Own Back Cover & Filler Pages! | Choose Between 12 & 16 months! If you don’t have your own design software or a way to access our photo calendar designer, we have another solution! We have recommended professional graphic designers to help our customers with their design needs. If the thought of designing is overwhelming or if you just don’t have time to do it yourself, contact one of our recommended designers and they will be happy to help bring your idea to life! 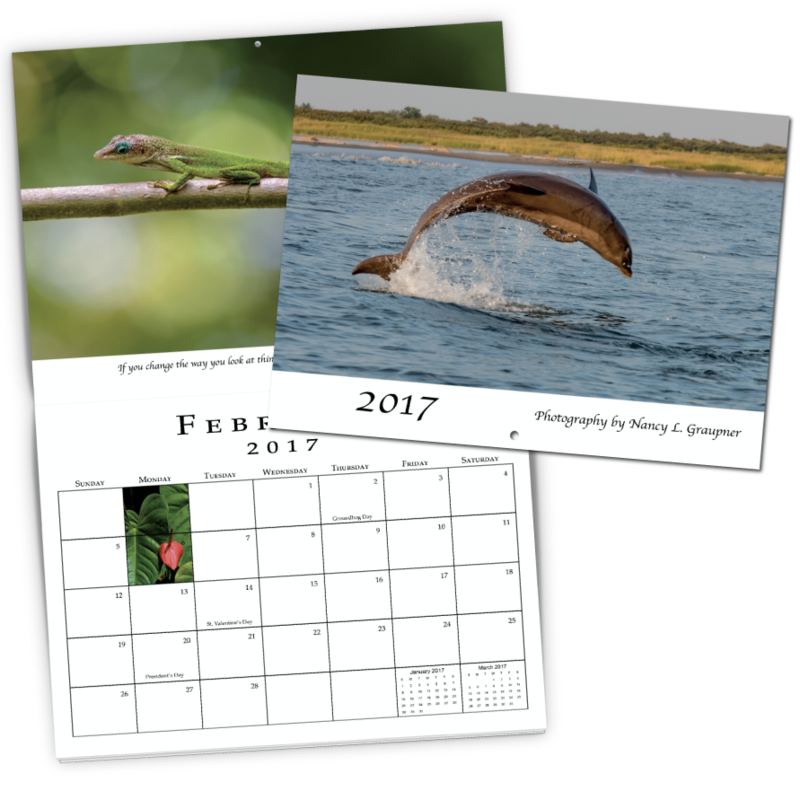 Now that we've gone through the resources we have available to you, let's get started on your next calendar order! Our prices and times are based on you providing error-free, print-ready files so if you're ready to upload your files, take a few minutes to check them against our PDF File Checklist to ensure that you have all the specifications correct. We look forward to working with you on your calendar project and are here to help by phone at . Peaceful Moon Photography Calendar is a Success! When Nancy and Jim received their photography calendars this year, Nancy had tears of joy in her eyes. She works on the calendar design throughout the year, gathering images and quotes that really stand out to her. She sells the calendars and many of her customers cut out the pictures at the end of the year to keep them. She also gives the calendars out as gifts and it is important that they arrive on-time and beautifully printed. After having a bad experience with their previous printer, Nancy and Jim wanted to find a company that would be able to produce a high quality product, who could deliver the product without it being damaged in the process. To start their search, they requested a free sample packet from us. When it arrived, they were impressed by the quality of the samples and wanted to learn more. On our website, they found that we offer free Photoshop templates. Jim downloaded one and started to work on it. He called us to make sure that he understood our printing specifications and process. He was pleased when we were able to quickly and competently answer his questions. Since he didn’t like the look of the calendar grid, he deleted it and designed his own. We encourage this kind of customization because we want you to have the exact look and style that you want. One unique thing about their calendar was the paper choice. They decided to print every page on cover weight paper. This means that the overall calendar weighs a bit more than what we normally print for calendars. Nancy decided to do this because a lot of her customers like to save the images. A teacher that she knows will cut up the calendar at the end of the year and hangs the pictures in her classroom. Because of the thickness of their calendar, they were required to get a wire-o binding, instead of standard saddle stitched, and it turned out fantastic! The other thing that we liked most about their calendar design were the quotes that they included. Each month image had a corresponding quote to go with it. For example, in the month of March, the image is a bird skimming along with its beak open to catch any lurking fish. The quote says, “The world is full of power and energy and a person can go far by just skimming off a tiny bit of it. – Neal Stephenson”. 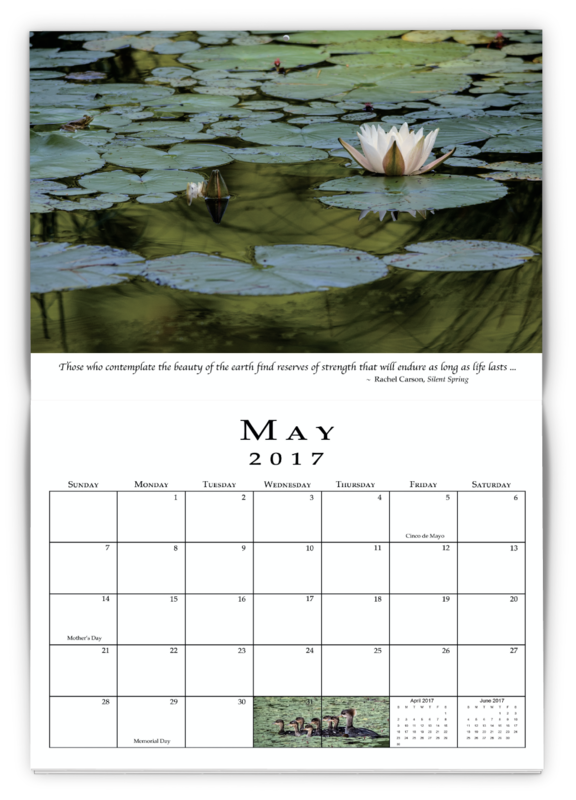 We love this design choice because not only does it look good, but it gives the viewer a little something to ponder throughout the month. We asked Nancy what advice she has for someone interested in having their own photography printed. She suggested getting a hardcopy proof. Basically, it’s one copy of your calendar that is printed and shipped to you, so that you can see it before the whole order is printed. This is especially handy if you have done a lot of extensive editing for your project or if you want a few different people to review it. Nancy had tears in her eyes when the order arrived, because they were packaged to ensure that nothing was damaged or scratched during transit. They were delivered carefully wrapped in bubble wrap, in stacks of ten and in perfect condition. She couldn’t be happier with the results and plans to work with us again when their next calendar project rolls around. To see more of Nancy’s photography, check out her website: www.peacefulmoonphotography.com. We loved working with Nancy and her husband and encourage all of our customers to call us or email us with any questions. We pride ourselves on high quality products, and even better customer service. Whether its calendars, brochures, booklets, flyers, or whatever you need printed, head to our website and check us out! On every product page you can instantly get a price by entering in all of your order details. We also offer free templates and a free online design tool to get you started! Get started today! Not sure where to begin with designing your custom calendar? 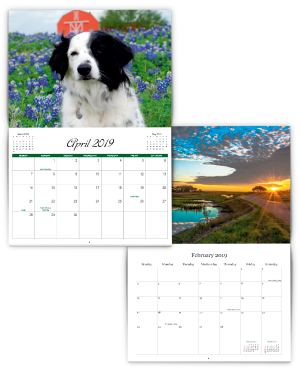 Here at PrintingCenterUSA we offer free custom calendar templates and grids you can easily put together for your next custom printed calendar. The templates and grids are available for Illustrator, InDesign, Photoshop and as a PDF that you can use in other programs. When it comes to creating a custom calendar the possibilities are endless. 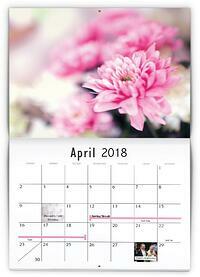 Our professional templates are great for any and every theme your calendar may have. Click here to download your templates now. Pick a size. We have three sizes available. 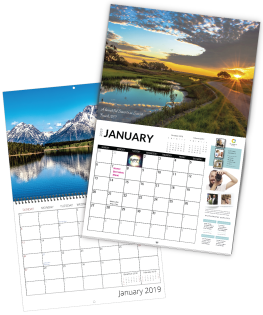 Here at PrintingCenterUSA we provide three sizes of calendars. 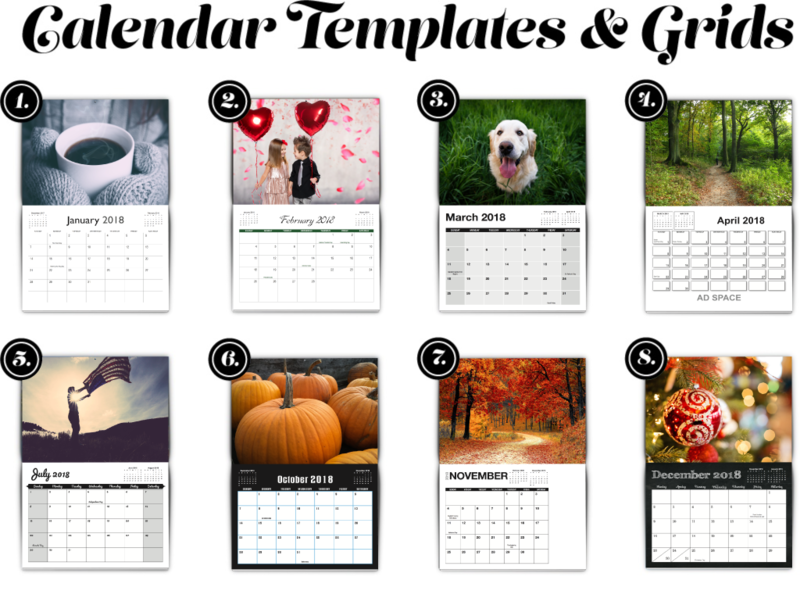 All have eye catching templates and grids that are easily accessible for you. Our most popular size is the 8.5" x 11". All of our calendar sizes and templates are sure to suit your needs. Our most popular and inexpensive binding is saddle-stitched. However, we offer wire-o and spiral binding as well. To learn more about our binding options click here. What is Included with the Templates & Grids? Additional filler pages are included to complete your full design and page requirements. These pages are a great place for year at a glance, notes page, mission statement and so much more! Click here to get started building your calendar today! Maybe you want to do a school year calendar. No problem! You can mix and match the available years of 2017, 2018 and 2019. The grid is a great place to add birthdays of family and friends, upcoming events and more! Add important dates now so you won’t forget. Feel free to customize and add as much as you want to the calendar design. There are no additional charges for advertising or having multiple pictures or having custom colored calendar grids. 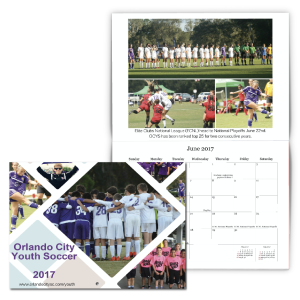 If you are looking to do more with your custom calendars, calendar fundraising is an easy and inexpensive way to fundraise. You can add advertisements throughout or just sell them to prospective buyers. With our professional quality calendar templates and grids it’s easy to add a nice profit to your bottom line. If you don’t have access to your own designer software, don’t fret. We can help. You can use our free online calendar design tool. Just drag and drop your images and/or text and we will make it pop! If you are feeling overwhelmed or on a tight deadline we have a solution for you! We have developed a team of professional designers to help you and meet all your design needs.